If you've ever experienced tingling sensations in your face, then you know how confusing and irritating this symptom can be. Although it may be worrying initially, there are plenty of explanations and solutions for this phenomenon. 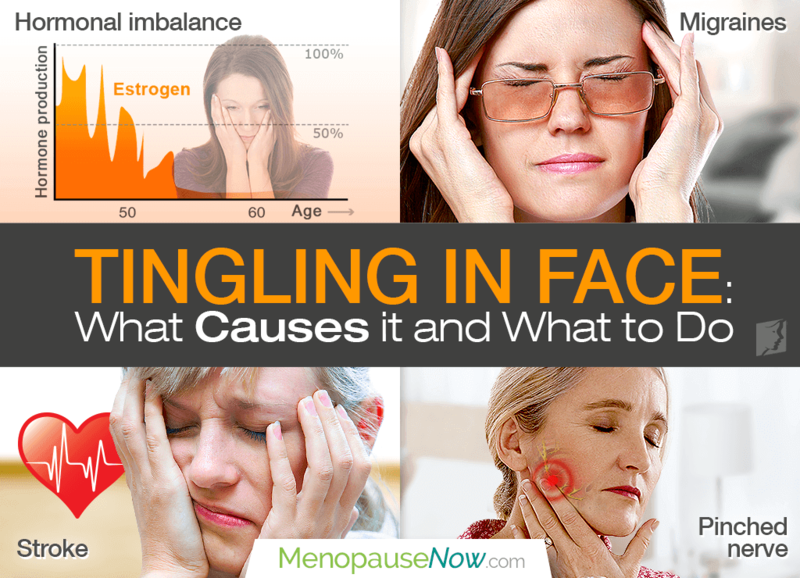 Read on to learn more about tingling in the face so you can finally have an arsenal of knowledge to tackle this symptom once and for all. For women who are passing through periods of reproductive significance, such as menopause, pins and needles in the face can often be attributed to hormonal imbalance. Because of low estrogen levels, the constriction and dilation of blood vessels is affected, thus evoking tingling sensations throughout various parts of the body, including the face. However, it is crucial to note that pins and needles sensations due to hormonal imbalance often occur throughout the body, such as in the hands and feet, not only in the face, leading to the necessity of searching for further face tingling causes. Hemiplegic migraines. This rare condition involves numbness, pins, and needles in the face, arm, or leg on one side of the body during a migraine attack. Bell's palsy. Tingling in the face, especially on one side, can be an indicator of this health condition that causes sudden, temporary weakness in your facial muscles, causing half of your face to droop. Multiple sclerosis (MS). Numbness and tingling in the face is often one of the first symptoms of MS. Although, many instances are not disabling and will remit on their own. Pinched nerve. Sometimes, a nerve in the neck can get pinched or compressed. This most often happens because of spending long periods of time in an odd position or because of trauma. Stroke. A common symptom of a stroke is sudden paralysis of a leg, arm, or one side of the face, which can be preceded by pins and needles sensations. This list is not exhaustive as tingling in the face may also be caused by other factors not aforementioned. With other causes of tingling in the face, more concrete treatments are needed, which may be discussed with your overseeing physician and include treatment options of therapy all the way to medications. While tingling in the face can be worrisome, knowing why it occurs and what to do about it can help you figure out how to stop it. To learn more about treating this sensation due to hormonal imbalance, click on the following link for natural and effective treatments for tingling extremities. Bredesen, D. & Simpson, K. (2006). The Perimenopause and Menopause Workbook. CA: New Harbinger Publications. Available from Google Books.